Minnesota’s largest retail electric cooperative is in negotiation with vendors to build the largest storage energy project in the state alongside three solar installations. Connexus Energy plans to install storage capable of storing 20 megawatts, the equivalent of 40 MW hours of energy, according to Brian Burandt, vice president of power supply and business development. The storage would be sited at three proposed solar installations that Connexus plans to build likely next summer. The collective output of the solar project would be 10 MW. The battery storage installations would be co-located at the solar sites, Burandt said. The co-op is “still in negotiation” about the solar projects. Connexus, the largest customer-owned utility in Minnesota, serves 130,000 homes in the suburbs of the Twin Cities. Ellen Anderson, executive director of the University of Minnesota’s Energy Transition Lab, applauded Connexus for embarking on the project. Her lab recently issued a report on energy storage and is among the sponsors of a conference on the same topic in September. It also convenes the Minnesota Energy Storage Alliance. The project may resonate beyond the region because a cooperative is embarking upon the energy storage-solar concept, Anderson said. Another energy storage installation in operation in Indianapolis is as large as the Connexus, she said, but it does not include solar. 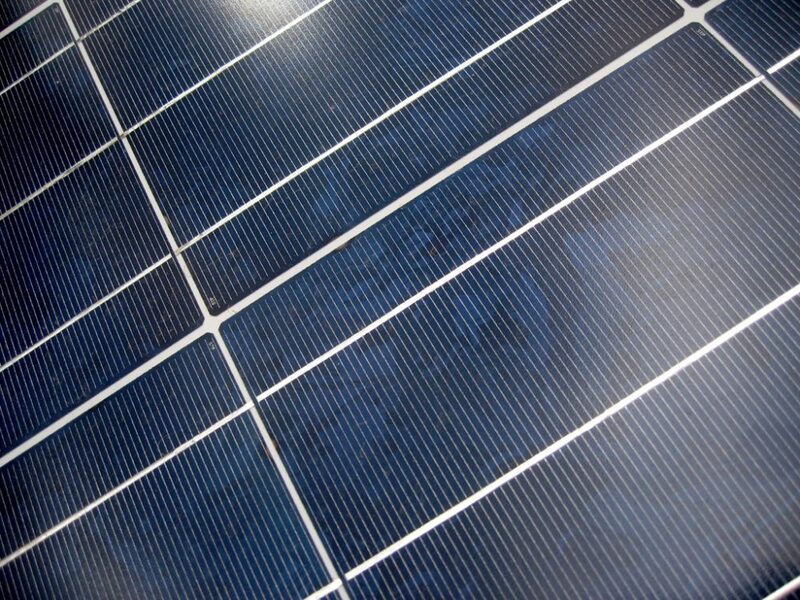 In fact, that’s what makes the project unique, she said, and the results may influence how storage might fit into Minnesota’s booming community solar garden market. Connexus is a member of Great River Energy (GRE), a wholesale electric service provider serving 28 cooperatives. Nathan Domyahn, GRE’s director of Minnesota generation, said other co-ops have become interested in storage as prices have dropped and the technology has improved. 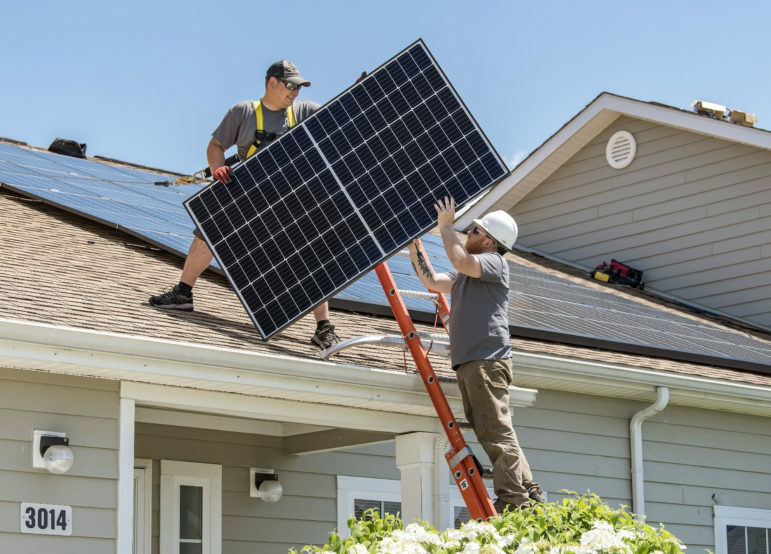 Co-ops see it as an opportunity to manage peak demand times of day, he said, and to manage the variability of energy produced by solar panels. What the co-op leaders question, however, is how well battery storage will work in Minnesota’s brutal winters and humid summers, Domyahn said. Globally, storage is seeing a dramatic upswing. A recent GTM Research report showed that storage will reach 2.6 GW by 2022, a 12 fold increase over 2016. The market will be worth $3.2 billion, a tenfold increase over 2016. California will remain the nation’s leaders, a position solidified by a move by regulators in 2013 to require the state’s three largest utilities to build 1.3 GW of storage by 2020. The impetus for battery storage at Connexus came after strategic planning by the cooperative last year that highlighted a compelling desire by coop members. Is that achievable now that energy storage prices have declined? “It definitely seems likely it will work that way, and that’s the only way we would proceed with this project,” he said. Burandt and other storage advocates see much more than just holding energy for distribution during peak demand times. Storage could be used for demand response, frequency control, voltage regulation and operational efficiency, among other attributes. Energy storage offers great flexibility, he said. In one scenario, the output could discharge 10 MW over four hours, for example. It could also be in increments much less than those numbers, Burandt said. The other major Midwest energy project was developed by Indianapolis Power & Light, a subsidiary of AES Corp. 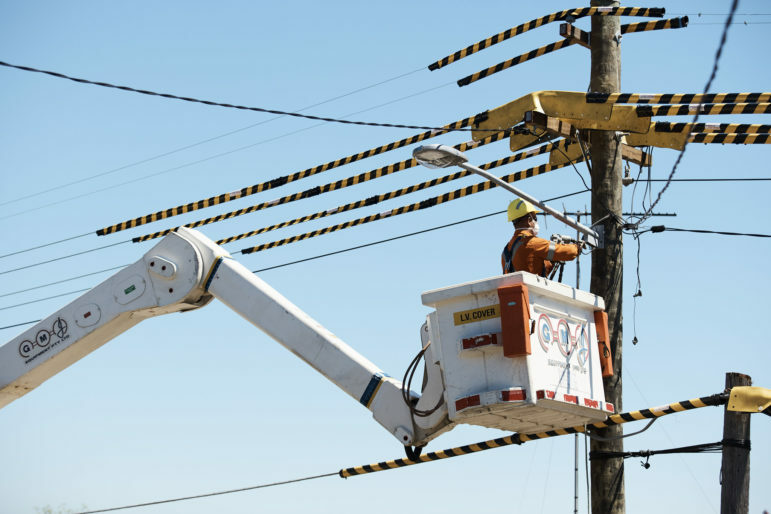 The $25 million 20 MW energy storage installation was the first grid scale system to be connected to the 15-state Midcontinent Independent System Operator (MISO) grid, according to Utility Dive. Burandt toured the Indianapolis facility and saw what he called the “upside” of distribution flexibility offered by battery storage.